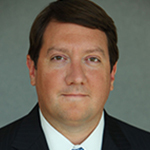 Dave Oxner, who heads government relations at the Securities Industry and Financial Markets Assn., will join Washington PA firm Cogent Strategies on March 18. At SIFMA since 2012, Oxner led advocacy on behalf of its more than 300 representatives of the banking, broker-dealer, asset manager and insurance businesses. Earlier, he spent a decade on Capitol Hill as senior policy advisor to Republican Senator Jerry Moran of Kansas, and as staffer on the House Financial Services Committee dealing with key measures such as the Dodd-Frank Act and Troubled Asset Relief Program. Cogent CEO Kimberley Fritts, who previously helmed the imploded Podesta Group, said Oxner’s “unique understanding of banking, tax, cybersecurity and business issues" will prove to be invaluable to her firm’s clients.